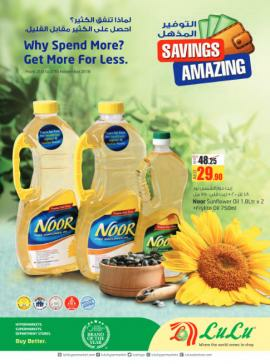 AED 10, 15, 20 Only. Offer valid from 10th to 23rd April 2019. 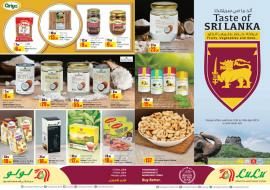 Taste of Sri Lanka. Fruits, Vegetable and more.. 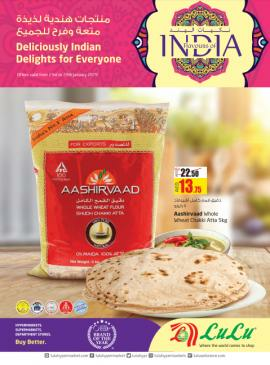 Product offers valid from 10th to 16th April 2019 or until stocks last. LuLu - Half Pay Back is back! 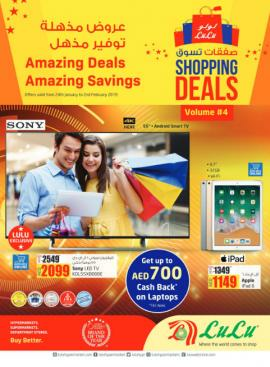 Spend AED 200 and get AED 100 shopping voucher. Offer valid from 14th March to 15th April 2019. T&C apply. LuLu - Digital Expo. Offers like never before. From 27th March to 9th April 2019. British Festival. 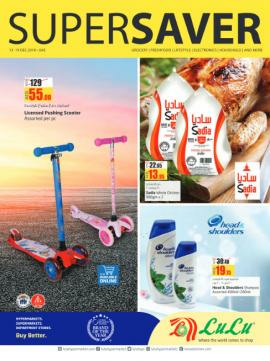 Offer from 18th to 26th March 2019. 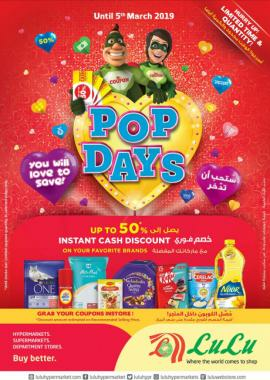 LuLu - POP DAYS. Until 5th March 2019. 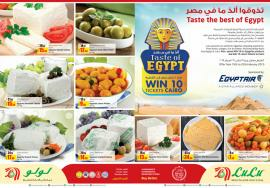 Taste of Egypt. 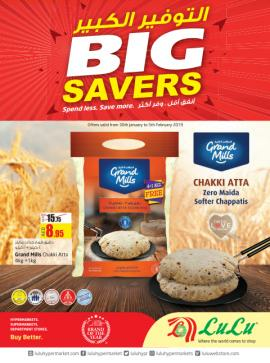 Offer valid from 19th to 25th February 2019. 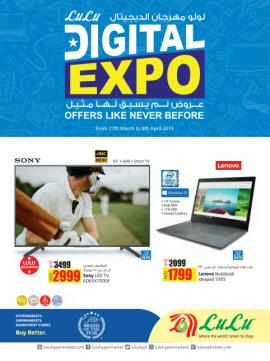 AED 10, 15, 20 Only. 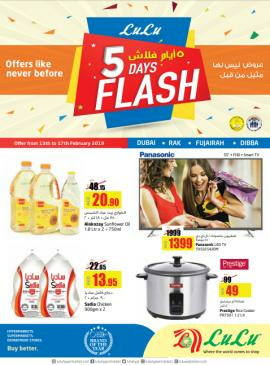 Offer valid from 6th to 19th February 2019. 5 DAYS FLASH. 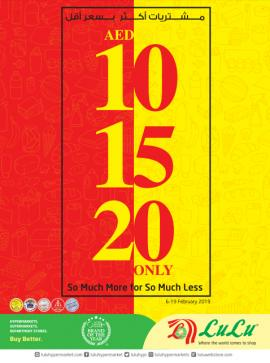 Offer from 13th to 17th February 2019. 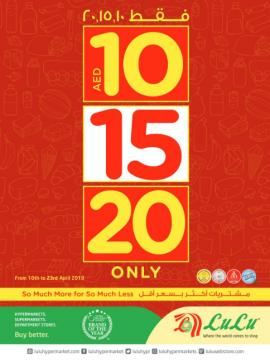 Offer valid only at LuLu stores in Dubai, Ras Al Khaimah, Fujairah, Dibba. LuLu - Big Savers. 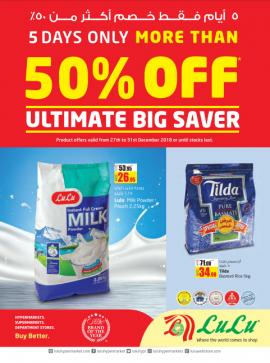 Offers valid from 30th January to 5th February 2019. 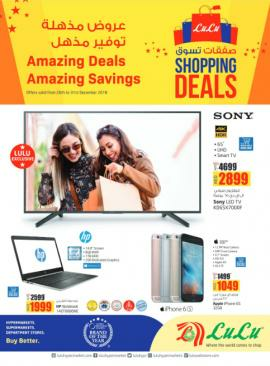 LuLu Shopping Deals. Offers valid from 24th January to 2nd February 2019. LuLu - Flavours of India. 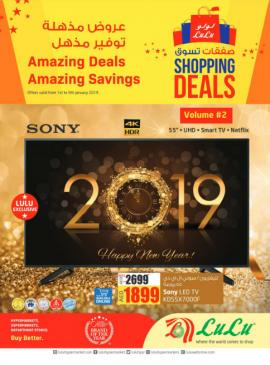 Offers valid from 23rd to 29th January 2019. 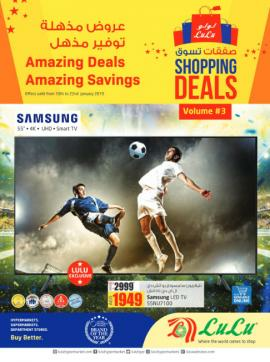 LuLu Shopping Deals. Offers valid from 10th to 22nd January 2019. LuLu Shopping Deals. Offers valid from 1st to 9th January 2019. LuLu - Ultimate Big Saver. Product offers valid from 27th to 31st December 2018 or until stocks last. 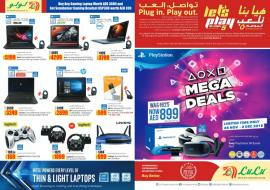 LuLu Shopping Deals. Offers valid from 26th to 31st December 2018. 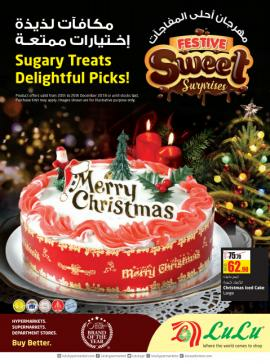 LuLu - Festive Sweet Surprises. Offers valid from 20th to 26th December 2018. 5 Days Flash. 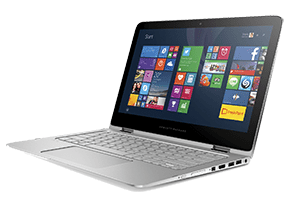 50% Off on selected products. Offer from 16th to 20th December 2018. 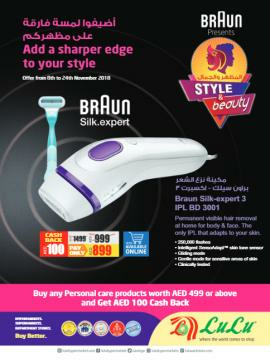 At LuLu stores in Dubai & Northern Emirates only. T&C apply. LuLu - SUPERSAVER. Offer valid from 13th to 19th December 2018. LuLu - Big Savers. Offers valid from 6th to 11th December 2018. 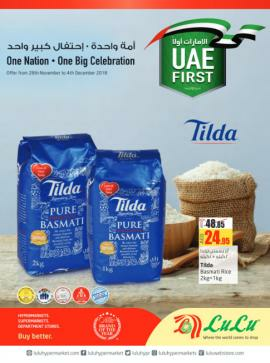 LuLu - National Day Booklet. Offer from 28th November to 4th December 2018. LuLu - Let's Play. Offer valid from 28th November to 2nd December 2018. LuLu - Savings Amazing. From 21st to 27th November 2018. LuLu - Style and Beauty. 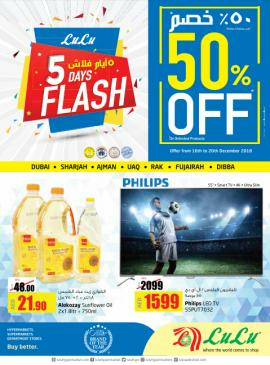 Offer from 8th to 24th November 2018. LuLu Hypermarket, the retail division of the multidimensional and multinational LuLu Group International has always been known as a trend setter of the retail industry in the region. Today, LuLu symbolizes quality retailing with 133 stores and is immensely popular with the discerning shoppers across the Gulf region. 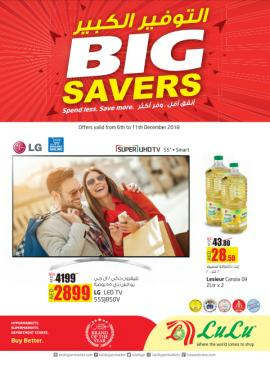 Get all information about LuLu Hypermarket offers in Dubai, LuLu Dubai offers and promotions, LuLu Hypermarket offers in Abu Dhabi, LuLu Hypermarket deals and promotions, LuLu offers in Dubai, Hypermarket offers, Supermarket offers, Dubai Shopping Mall offers, fashion offers, footwear & shoes offers, Health & Beauty offers, Electronics & Mobile offers, LuLu online offers and LuLu promotions in UAE by browsing through TomatoSALE.